In a large skillet cook bacon until crisp. Remove with a slotted spoon to drain on papertowels. Add onions and green beans to bacon drippings and stir fry until crisp tender. Drain off any remaining bacon drippings. 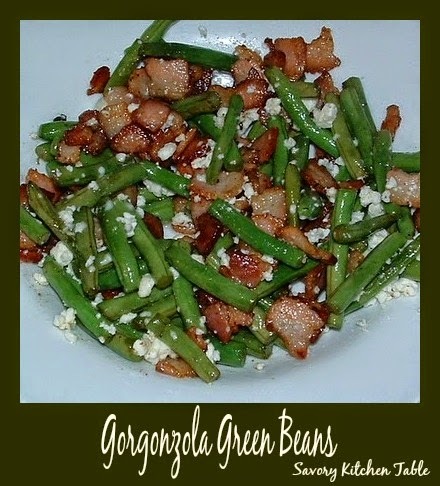 Toss onions, green beans, bacon bits and Gorgonzola crumbles.